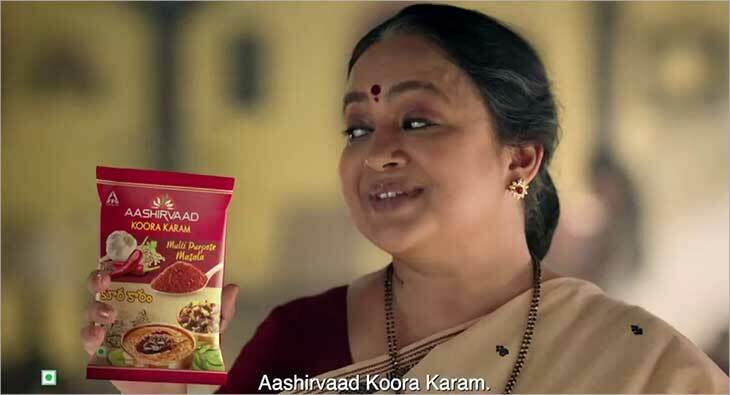 Aashirvaad, the market leader in spices in Andhra Pradesh and Telangana has launched Aashirvaad Koora Karam, the region’s best-selling, multi-purpose masala with a new campaign ‘Just like homemade, with your mother’s touch’. Traditionally made at home by mothers and grandmothers, the younger homemaker who seeks convenience in today’s age of paucity of time, depends on her older generations for her regular supply of Koora Karam. The campaign comprises of a TVC showcasing how in the contemporary world, the time-consuming tradition of preparing Koora Karam can be kept alive without compromising on the taste and quality at the same time giving the home-maker an opportunity to explore her other interests. The viewer is reminded that this masala is an excellent elixir of traditional spices and will be reminiscent of their mother’s special recipe blend. The TVC opens with the mother surprising her married daughter with a thoughtful present. Her daughter anticipates it to be the Koora Karam masala made-at-home but instead the mother gives her a blanket, made from her daughter’s childhood clothes. The surprise makes the daughter curious about how her mother managed to make time to make the blanket, considering making of Koora Karam masala is in itself time-consuming. The mother tells her daughter about how she now uses Aashirvaad’s Koora Karam masala and uses it for all her dishes. The film ends on the note where the daughter expresses her joy after tasting the preparation made using the product since it tastes just like the way her mother makes it.